A couple of rather seasonal late January days provided for decent weather this weekend in the Mid-South. A brief warm-up will occur the next few days before another cold front moves through, knocking temperatures back down to near average levels. 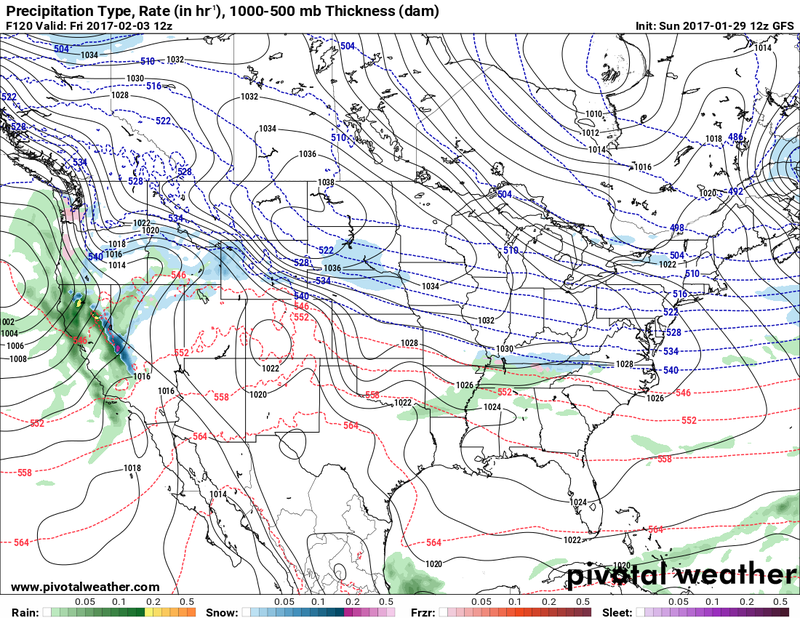 No major Arctic blasts are forecast to affect the Memphis area in the next week or so. 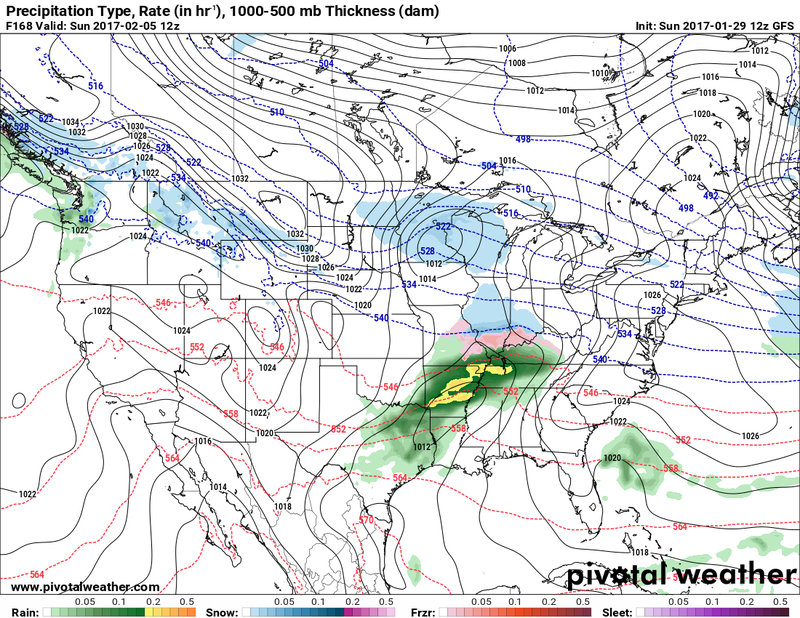 The lower level weather is being driven by what's going on in the upper level of the atmosphere. 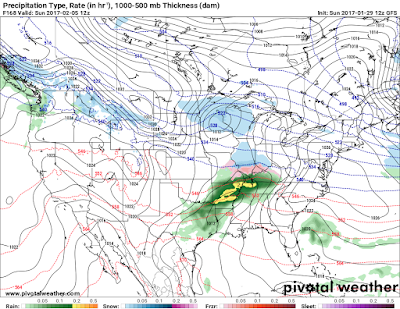 Today, that includes a large ridge of high pressure over the western half of the country and a fairly substantial trough along and east of the Mississippi River. In the north-northwest flow around that eastern U.S. trough, a wave of energy brought today's cloud cover, as well as light precipitation well to our north and east. In fact, big fat wet snowflakes fell in the Nashville metro this morning with temperatures in the upper 30s. 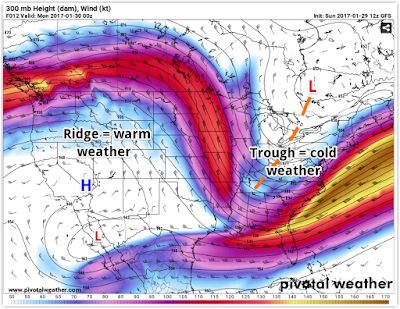 As you can see from the animation below, which shows the pressure pattern and jetstream at about 30,000', that dip (or trough) in the wind flow will shift east as the large ridge to our west flattens out a bit. That shift will serve to place a bit more ridging over the Mid-South, resulting in more sunshine and warmer conditions as we head into the work week. You can see the temperatures at about 5,000' respond accordingly in the beginning of the animation below. Blues (colder than average air) moves east and is replace by reds, indicating warmer than average temperatures. Surface temperatures will also warm with highs about 5° warmer on Monday than Sunday (mid to upper 50s) and another nearly 10° warmer on Tuesday, in the mid 60s. It'll once again feel like an early taste of spring! Looking back at the first animation above, you'll see the jetstream sink south a bit about halfway through the loop. This reflects a lowering of pressure, which then causes it to dip south. As it does, a cold front moves through on Wednesday with cooler conditions at the surface also occurring. We'll be back to near average temperatures for the latter half of the week with more cloud cover and sporadic, mainly light, rain chances. 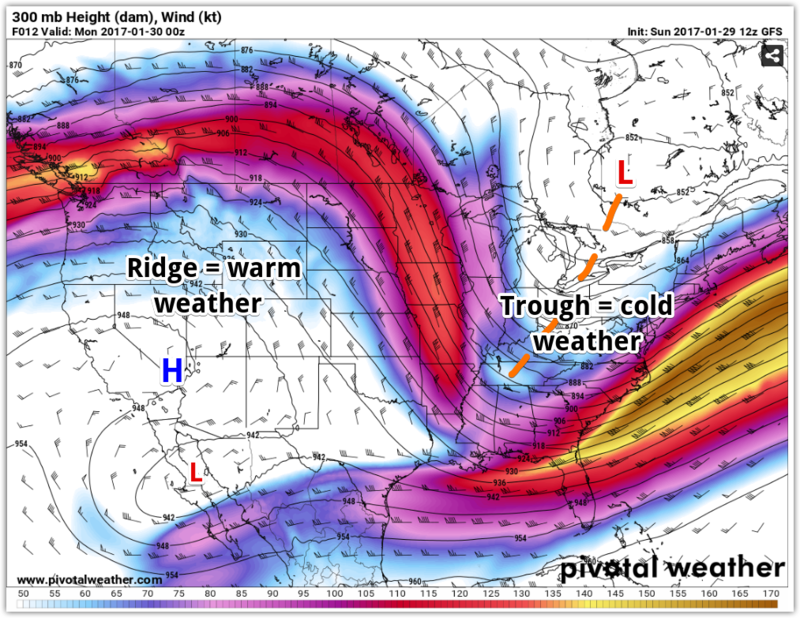 The upper level pattern remains fairly zonal (flowing west-to-east) through the end of the week, so any weather systems that move through will do so fairly quickly with low rain chances and no major cold outbreaks. 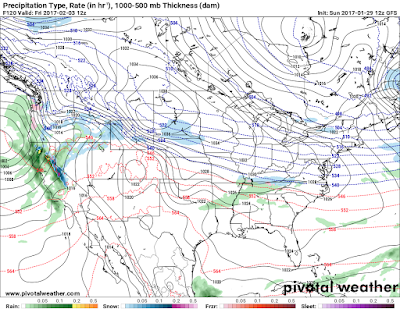 Next weekend, the pattern becomes a bit more active as upper level energy moves in from the west and causes the upper level patter to "buckle" a bit, resulting in a bit stronger weather systems and likely some higher rain chances a week out. Timing of these is difficult, but the overall pattern suggests a bit more active weather. We'll keep an eye on it for you! 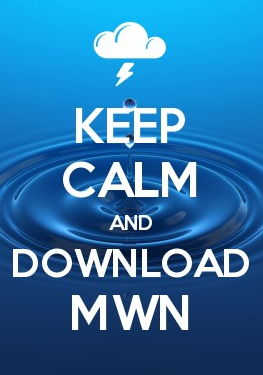 For the complete MWN Forecast, updated daily by trained human hands and mind, download the MWN mobile app or check our mobile or desktop website. Links can be found below.